Cady is using Smore newsletters to spread the word online. 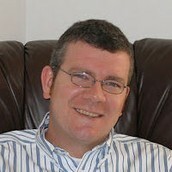 Seth A. Parsons is an assistant professor of education and human development at George Mason University. He teaches in the elementary education and literacy program areas and works closely with preservice and in-service teachers in a Title I Professional Development School. His research interests include adaptive literacy instruction, literacy teacher education and development, literacy professional development, and student engagement. Classrooms are diverse and not all students are at same level and thinks wont always go as planned. Adaptive teaching is thinnking on the fly and making changes and adapting instruction. What were the teachers thinking? Dr. Parsons researched not the adaptations the teachers made, but instead what were the teachers thinking and how they knew to make the adaptions.